The Department for Transport (DfT) has set out its response to a consultation on its original plans, which ran from December last year to 19 March. However, a DfT spokesperson told Highways that an indicative online map of the network has not been updated as part of the announcment. In October, transport secretary Chris Grayling announced the first five schemes to receive Government funding, despite the fact that neither the network itself nor the criteria had been announced. In the Budget later that month, chancellor Philip Hammond announced that the MRN would receive £3.5bn between 2020 and 2025, funded by the hypothecation of Vehicle Excise Duty. The DfT said in a document published on Tuesday (18 December) that it had set out the specific quantitative and qualitative criteria that have been used in reviewing the network, adding that it had adopted a number of suggestions that came from the consultation responses. These include not automatically including roads that were de-trunked; flexibility for including roads just below the traffic flow thresholds; and adding in roads that are under construction and due to be completed by 2020/21. Some suggestions for specific roads to be included or excluded from the network were also considered and accepted ‘where they fit with the overall programme criteria and do not distort the network’. 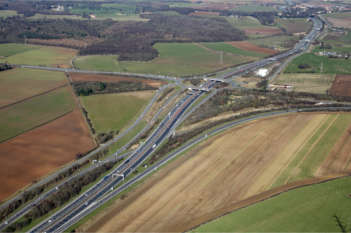 The DfT said that based on consultation responses, it has refined the role of Highways England to focus on supporting sub-national transport bodies and regional groupings in the development of their regional evidence base and supporting it in assessing the validity of cost estimates for proposed MRN schemes. Concerns raised by consultation respondents included not increasing the burden on Highways England when it has a significant Road Investment Strategy to deliver and that its role should not lead to an increase in bureaucracy, while Highways England advice should not be at the expense of local and regional knowledge. On funding, the DfT said there are no planned changes to the types of schemes eligible but that ‘taking on board the views expressed in the responses, we will be pragmatic in the application of financial thresholds allowing, in exceptional cases, scheme proposals with a strong case to be considered for MRN funding even if they are outside of the prescribed thresholds’. Funding for an MRN scheme will normally be £20m-£50m. The DfT has also published guidance on bidding for MRN or large local major schemes. He added: ‘We are still awaiting news on whether our two proposals for "early entry" into the investment programme – improving capacity on the A414 in Hertfordshire and dualling of the Eastern Link Road in Aylesbury – will be taken forward.